The Report is now available to read. Wind Aware Ireland have launched their new report “The Costs of Wind Energy in Ireland”. This report may precipitate the latest scandal in public spending. The report shows that the Irish State and consumer are spending approximately €1.2 billion per year on wind energy and no one has done the sums to justify this spend. The Irish Academy of Engineering found that focusing mainly on wind to reduce emissions would create the highest technical risk, would generate the lowest amount of reliable electricity and had lowest public acceptability compared to using biomass or carbon capture and storage. They said “A detailed analysis needs to be carried out of the costs and socio-economic implications of reducing emissions”. All legally mandated checks and balances for wind energy have been bypassed; no costs benefit analysis, no strategic environmental assessment and no regulatory impact analysis has ever been undertaken to justify this spend. This sheer lack of accountability and the capture of policy by wind developers should be grounds for a national scandal. “Large industrial connections normally do not dominate a country’s energy demand forecast but this is the case for Ireland at the moment,” the All-Island Generation Capacity Statement 2017-2026 says. The Aarhus Compliance Committee has interpreted Article 9 (3) of the Convention to mean that the public must have access to adequate judicial mechanisms in the event of acts and omissions in contravention of environmental law and, secondly, to provide means for the enforcement of environmental law to ensure its effectiveness. In other words there must be a quick and effective way to stop people wrecking the environment and ignoring the law. Neither the ABP nor the High Court can be described as quick and effective. We need something new that has the trust of the public – something like an Environmental Rights Commissioner and thereafter an Environmental Court – which is quick and easy and does not require a law degree to understand what is going on and is open to all, either the single citizen or the community group. Quick and effective justice is what is needed. The legal fees necessary to take these matters further will be enormous. Between five and seven thousand people read this blog. If you could all see it in yourselves to donate a tenner to each family or group involved in this litigation, that would be an enormous help. Sinead and Allan judicially reviewed the decision of ABP to confirm the grant of planning permission to Apple for a massive data centre right in the heart of the fields of Athenry. They lost and now need to appeal that decision. Sinéad and Allan have to be back in court today at and decide by then if they are going to apply for a certificate to appeal. They have been under considerable stress in taking the Judicial Review and now they will have there own costs to pay. They need help, fast. I know it would take off some of the pressure and perhaps help them to make the decision to seek leave to appeal if the financial side could be sorted out for them. There is a very real danger that Judge McDermott’s judgment will open the floodgates for data centres and in turn give the Wind Industry the excuse to develop further, given the massive electricity consumption of these data centres. Even if the likes of Apple can be stalled a bit longer they may take their data centre business elsewhere and hopefully other data centre developers would follow suit. The second case before the courts is Kathleen Connolly versus An Bord Pleanala (ABP). 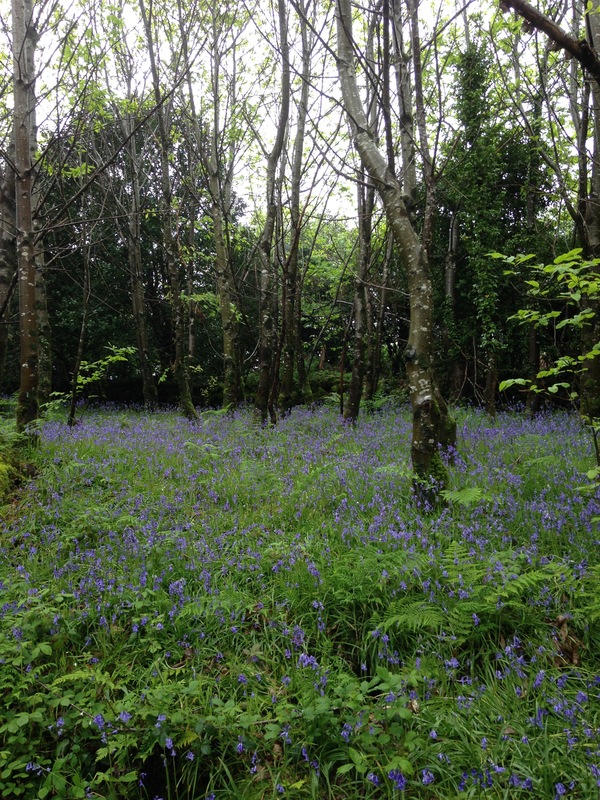 The core issue of this case is how An Bord Pleanála carries out and records its assessments of developments, particularly where Appropriate Assessments (AA) and Environmental Impact Assessments (EIA) are involved. To date a number of cases has been taken against the Bord challenging how the Bord records those assessments. The particular concern is with how it records its methods of examining, analysing and evaluating the likely effects of developments on the environment. As a result it is alleged that the Bord cannot communicate clearly its decision-making process in a way that all interested parties can understand. It is left up to those wishing to appeal the decisions of the Bord to trawl through all of the documentation and to employ specialists in assisting them to interpret the rationale behind these decisions. The time-frame of the appeals process is often too short for individuals or groups to achieve this analysis in a thorough and cost effective way. The High Court Judgement of Mr. Justice Barrett in the case of Kathleen Connelly vs An Bord Pleanála on the 14th June 2016, ruled that it was the obligation of the Bord to record its determinations under EIA and AA legislation. In addition, it is required to give the main reasons and considerations on which its decision was based in such a way that Ms Connelly (and others) are given a proper understanding of why the decision to approve the development of a wind farm in Coore/Shanaway has been reached. In the absence of such a record in this case, Mr Barrett issued an order of certiorari, quashing An Bord Pleanála’s decision to allow the wind farm to be built. This is a very important judgement in planning and environmental litigation and will have far reaching effects beyond this case. The Bord, on the basis that this ruling will have a very significant impact on how it operates and that this is of general public importance, petitioned the Supreme Court for clarification and the Supreme Court agreed that the issues raised in this case warrants clarification by a higher court. The Supreme Court will either uphold, overturn or refer the High Court decision to the European Court of Justice. The current lack of a transparent and accessible decision-making process in An Bord Pleanála is a situation that needs to be addressed, and is long overdue. An Bord Pleanála is a public decision-making body, funded by tax payers’ money, and every interested party should understand clearly how and why the Bord makes the decisions it does. If this case is upheld, it will make it easier and more cost-effective for individuals and communities to decide on the merits of appealing a decision by An Bord Pleanála in the High Court. The ABP are now taking this decision on appeal and Kathleen and her community are severely depleted of funds, having fought (and won) the high Court case. They would be grateful for any support. Please check out their website with ways to support them. In support of this cause there will be a showing of the gorgeous documentary on the Burren, nature and the battle over Mullaghmore, ‘The Silver Branch‘ on the 19th of November at the Armada Hotel in Spanish Point, at 7pm as a fundraiser. If anyone wishes to attend, contact Wind Aware Clare via their website regarding tickets. Risteard O’Domhnaill, the Director of ‘The Pipe’ and ‘Atlantic’ will be there on the night and has generously volunteered to do the projection. It is a disgrace that appeals of this nature should be necessary in the first place; but these people are fighting for you and me and need our help. The scientific research and verified evidence is now overwhelming. Wind farms are a dangerous hazard. In an effort to assist a society in danger, I feel obligated to make this case public. I am employed in schools within a rural area. The projects I am involved in run throughout the school year. I hope it will be understood why I cannot reveal names and locations. Sadly, I must protect myself against the professional consequences which could result from a fully detailed testimony. I always prefer to turn the tables and ask people: so tell me what is good about wind turbines? When they present the usual fallacious arguments, you shoot them down in flames (metaphorically speaking). If wind power was a horse, its owner would have shot it long ago. Instead, cheered on by ideological zealots and endlessly pumped up with performance enhancing subsidies it continues to lumber on regardless. Impossibly chaotic in its delivery, it never starts the race on time and continually fails to finish, even when it manages to get out of the stalls. As STT followers are well aware, this site is dedicated to hammering the wind industry and the baggage train of leeches who seek to profit from it. In Germany, our doppelgänger is NoTricksZone, which continues to deliver the goods, on the same score. 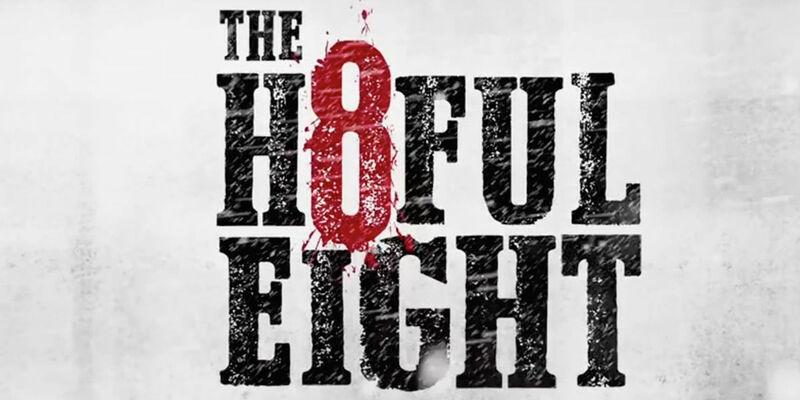 In this piece Pierre Gosselin pulls together a Hateful Eight: 8 very solid reasons to hate wind power, with a passion. Nonsense makes the brain go softer – something politicians bank on. In this era of professional sport, who you have on the bench is as important as who you have in the starting line-up of your team. Coaches have to think long and hard about who will be seated on the substitutes’ bench as the substitute must be able to replace an injured or incapacitated player if necessary, but must also possess the skills to make a major, sometimes decisive, impact on the game. For example, in rugby union, the name of CJ Stander for the Irish and British Lions is a prime example of a “super sub”. Politics employs a similar tactic. In the European elections, parties nominate a Substitute MEP so that in the event that the elected MEP becomes incapacitated, the substitute can continue to perform the necessary duties in the European Parliament. This is sound democratic practice, as it ensures that the region that voted in the original MEP continues to be elected by a member from the same (victorious) party. It also avoids the unnecessary expense of a by-election. The EU legislation dealing with this is usually referred to as “The 1976 Act”. Its full title is the “Act concerning the election of representatives to the European Parliament by direct universal suffrage, annexed to Council Decision 76/787/ECSC, EEC, Euratom of 20 September 1976”, (as amended and renumbered by Council Decision 2002/772/EC, Euratom of 25 June 2002 and 23 September 2002. This amendment is not yet in force). In other words, it was the duty of the Oireachtas to pass legislation dealing with the specific circumstances that would cause a sitting MEP to lose their mandate. “1. A seat shall fall vacant when the mandate of a member of the European Parliament ends as a result of resignation, death or withdrawal of the mandate. Subject to the other provisions of this Act, each Member State shall lay down appropriate procedures for filling any seat which falls vacant during the five-year term of office referred to in Article 3 for the remainder of that period. Where the law of a Member State makes explicit provision for the withdrawal of the mandate of a member of the European Parliament, that mandate shall end pursuant to those legal provisions. The competent national authorities shall inform the European Parliament thereof. The amendment is far more strongly worded than its predecessor as it now makes it clear that the national legislature of the Member States must legislate to deal with the situation where an MEP must lose their mandate. The 1976 Act seems to envisage that a seat shall fall vacant only on resignation, death or withdrawal of mandate. In other words, if an Irish MEP is incapacitated through a long-term illness but fails to resign their seat, the only way that they can be involuntarily replaced is by a withdrawal of mandate by the Irish legislature. What is the Irish law that deals with this? This section is a statutory version of chasing your tail as a person must “cease to be a representative” but this expressly excludes the sitting MEP being voted out or their election being nullified by the High Court (after a petition-challenge in terms of Section 17). So when can you cease to be a representative if you are not voted out, or do not die or resign? Essentially, there is no Irish legislation dealing with this scenario. An MEP cannot be forced out of office, other then being voted out at the next election. Otherwise only they themselves can leave office by resigning, or dying. There is no statutory instrument that can terminate their mandate against their wishes. If they refuse to resign, there is no law that can change that situation. In a conversation with Dr. Jennifer Kavanagh, the leading expert on Irish Election Law and the author of “Electoral Law in Ireland” (Bloomsbury Professional, 2015) she described it as “a massive loophole in Irish law”. All other public offices have statutory substitutes when the incumbent cannot act because of incapacity. This does not apply to MEPs – there is no fall-back provision! So what has this to do with the fight against wind farms and the pylons used to carry their (meagre) output? The South East of Ireland is under an intensive and prolonged attack by wind developers seeking to build wind farms all over Munster, including one in the Copper Coast World Heritage Site. We need a voice in the European Parliament to lead the fight against these invaders. There is clearly no help forthcoming from the Irish government, who have put all their eggs in the wind power basket. The incumbent MEP for the South East is Brian Crowley. He is unable to represent his constituency due to ill-health. An inspection of the EU Parliament page shows that Brian Crowley’s attendance record is abysmal. In his previous term his attendance stood at 22% which equates to 18 months. In other words, Crowley missed 3.5 years of that term. His attendance in his current term (2014-2019) is even worse. He has missed 3 years 2 months since being elected in 2014. In other words, over the last 8 years Crowley has missed 6.7 years. Another Irish MEP has said Crowley should resign. Ironically, Crowley is in all likelihood a supporter of wind farms. It is a matter of public record that he received election support from Murnane & O’Shea, who are well known in Ireland as wind developers. Irrespective of Crowley’s views on the invasion of wind farms into his constituency, surely this inability to attend the EU Parliament to debate issues and cast his vote must be regarded as permanent incapacity which should trigger a withdrawal of Crowley’s mandate? YES, it should, but there is no Irish legislation dealing with the matter. And why is that, you wonder? It might have something to do with the fact that if an MEP resigned or had their mandate withdrawn, they no longer receive all the perks of the job. These perks include a salary of €8484 per month (€101,808.00 per annum); an expense account of €4342 per month (€52,104.00 per annum); a daily allowance of €306.00 (€79,560 per annum); and an office allowance of €29.883.00 per month (€352,000.00 per annum). This gives you a total package of €585,472.00 per year. Nice money if you can make it. This might explain the Oireachtas’ reluctance to pass a law forcing the retirement/resignation of an incapacitated MEP. Some of our own TDs are MEPs of the future – why should they cut their own purse strings when it is possible to receive that sort of money for doing nothing? And remember that this total package of €585,472.00 per year is the minimum package paid to an MEP as it does not include flights and travelling expenses. In addition, there is another real goldmine: sitting on committees. Being a committee member can net you up to €45,000.00 per annum. Crowley currently sits on the Energy Committee, the very people driving the wind farm madness. Imagine if we could have an anti-wind voice on that Committee? And this finally brings me to the matter of the substitute who would take Brian Crowley’s place if he was forced to resign. Kieran Hartley was elected as the Substitute MEP. He ran on an anti-pylon / anti-wind ticket and received massive support as a result. He continues to be a driving force in the fight against the invasion of wind farms in the South East. His tireless work in helping communities the length and breadth of the country is the stuff of legend. “Brian’s EU substitute, Kieran Hartley, has worked tirelessly to help communities all over Munster, ours included”. There is a real chance that the citizens fighting the scourge of wind farms which are invading and destroying their communities could have a Super Sub in the form of Kieran Hartley in the EU Parliament, and on the EU Energy Committee. Something Bord Failte needs to think about. Tourism is a huge income earner for Ireland. A decade or so ago, the wind industry used to include claims about the tourism potential of their proposed wind farm in their planning documents. For some reason, that pitch has been quietly removed from planning applications in recent years. Could it be that it’s not just the locals who hate the look of these things? Are tourists lodging in B&Bs next to wind farms driven nuts by incessant turbine generators low-frequency noise and infra-sound, in the same way as those forced to live with these things every day of their lives? Whatever it is, the conclusion is pretty clear: tourists hate these things too and, quite reasonably, have elected to avoid them like the plague. The glorious German countryside has been ruined by wind farms spread all over the place. But it seems it was all for nought. 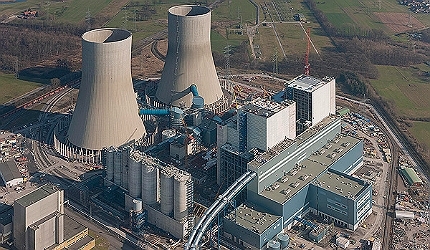 Coal-fired plant, Westfalen: where Germany’s power really comes from. Amongst wind and sun worshippers, Germany is held in a kind of reverent awe. However, like everything held dear by the renewables cult, the ideal and the real are worlds apart. For years we were told that if you kept spearing wind turbines into the countryside and spread them far and wide, we could do away with ‘dirty’ coal-fired power plants, and every other conventional form of generation that had, on their reckoning, been made redundant by the wonders of wind and sun. No country went harder or faster in its pursuit of wind and solar power than the Germans. The South Australians came close, but that’s an Australian state, home to a mere 1.6 million people, rather than a European nation, home to over 80 million. This is an excellent article by retired Senator John Whelan from Laois. It was first published on 2nd June 2017 in Laoistoday.ie. “In over 40 years of being engrossed in newspapers one of the more abiding articles I have read was a simple and straightforward profile in the people section of the Sunday Times magazine. It was of a middle-aged miner who was coping with the closure of the collieries across Britain, with coal-fired power plants to follow in their wake. This burly lad with stubby fingers was dominating the foreground in the accompanying photo standing in a poly-tunnel replete with light, in stark contrast to a mine shaft. I noticed his chubby fingers because of the awkward incongruous manner in which this man who had spent most of his working life underground held a tiny terracotta pot. The pot contained a cactus. A classic looking mini-version of the ones you see out in the desert in westerns. I was totally impressed and inspired by the manner in which this miner had become a successful horticulturalist, propagating cacti from seed and had managed to turn it all not just into an enjoyable pursuit but a profitable business. It had all come about through an enlightened strategy by the mining company and its workers who had prepared for the likely lay-offs five years in advance. They did this through planning for the difficult transition by retraining, mentoring, counselling and saving for that rainy day in the miners’ credit union, so as to have in this case, literally seed capital. Happy days. If only our own semi-state companies could show such foresight and a smidgeon of consideration for their staff, their families and their communities. I have learned recently of Bord na Mona workers being offered retirement planning, after they were made redundant. It’s a terrible shame, as companies like Bord na Mona, the ESB and Coillte were pioneering and proud contributors in our economy and communities as they forged new ground, created great opportunities and worked with the locals in the early years and decades from their inception. They held a critically important and highly-regarded place in the country and the countryside where their workers resided and retired making way for the next generation. Housing estates in the shape of horse shoes grew up around the employment opportunities as if to celebrate our good luck. But all that has changed. Changed for the worse and it’s a forlorn hope that they might yet show some of the insight and foresight that is demonstrated in the example of the miner above. The Boards of these semi-States are now well removed from their origins and the ideals of their founding fathers. This is not harking back to ‘the good old days’ but rather searching for the values and precepts that underline their foundation. These companies were designed to serve communities, to create employment opportunities and to breathe life into the rural heartland. Today, those at the helm seem far more interested in their fat cat pensions, pension funds and the short-term bottom line than serving their stakeholders rather than a banking like shareholder worldview. You and your family own these companies. They are supposed to be held in trust and run on your behalf and your best interests, long-term and for the next generation too. But we are being short-changed by them and they are selling us out. In another extraordinary display of short-term greed they seem more content in collusion with some of their political masters of turning the country into one big wind farm – a metaphor for the ages if there ever was one as these companies swap their community-centred focus for a new corporate worldview. Mark you, this is to fund their windfall pensions, to justify their bonuses and to leave communities carrying the can because there are no meaningful jobs for rural Irish workers in windfarms. The technology, the equipment and even the management, maintenance and monitoring of windfarms is all imported and very often conducted remotely, at arm’s length. Their ultimate owners will be international investors and pension funds, once they are sold on and sold off, as they always are. There is a good return for investors in heavily subsidised wind farms with a guaranteed income running to multiples of their initial outlay over a 20-year period, which is even more attractive now than ever, with finance on deposit in banks losing money. However, don’t let anyone fool you by suggesting there are jobs, benefit or a bounce for local communities in this strategy being pursued by the semi-states. It is selfish, short-term and short sighted; will generate no jobs and will never re-energise Mountrath or Mountmellick, Ballyroan, Ballybrittas or Borris-in-Ossory and open up the relish of new ideas and chances for young people in Rosenallis or Camross. Coillte and Bord na Mona between them are the biggest landlords in the country and right now are getting away with the biggest land grab in our history since Cromwell. They are too lazy and too greedy about their own career prospects and pensions to be arsed unless we sit up and kick-up and make them take stock of what is best for Laois and the Midlands. It’s certainly not to sell us out and sell it off; it’s certainly not to tell us that the best use of this massive resource and State asset is for wind farms and data centres. They might look good initially to local authorities for their rates revenues and sweeten the deal with some local sponsorships as they try to buy friends. But they offer no significant alternative employment to the thousands of jobs being shed and certainly no sustainable social, economic and environmental dividend. When’s the last time you met a tourist looking for directions to the wind farm or the data centre? The latest example of the great sell out of the regions by the state agencies was the startling and shocking revelation at Monday’s Council meeting that it now emerges that there are no funds to proceed with the long-heralded and much-lauded Slieve Bloom Mountain Bike Trails. This is nothing short of an outrage and you should express yours if you care at all about our county and community. This is an excellent idea. A fantastic project which has been well over six years in gestation. It finally gets planning permission recently and only then Failte Ireland and Coillte maintain they don’t have the money to proceed. This is an ideal project on so many levels, with the capacity to attract over 50,000 visitors annually to this locality – real local jobs, rural based, eco-friendly, long-term sustainable, healthy and it feeds right in to our burgeoning leisure tourism market. Instead of forging ahead with this magnificent idea for mountain bike trails across the Slieve Blooms this week, there was much talk instead of the midlands becoming the ‘rust-belt’ of Ireland. The only thing left rusting on the landscape will be the giant industrial wind turbines, for as soon as the subsidies run out, so too will the investors. That need not and should never be the case. There are so many other constructive options and alternatives open to us. The managements and boards of these semi-states are too windy in their cushy numbers to pursue these options as they require courage, creativity, ambition and vision, forward planning and a long-term perspective in the interest of the social sustainability of the communities they are supposed to serve. They need to think more like the enlightened company that helped a miner to become cactus world news one weekend on the back page on The Sunday Times. Become immersed once again in their host communities and seek more holistic solutions to the inevitable decline of their traditional sectors. “Householders and businesses are facing higher electricity costs after the regulator for the sector proposed a massive hike in a levy on bills. The Commission for Energy Regulation has proposed that the public service obligation (PSO) levy goes up by 40pc for consumers. The levy is mandated by the Government and is mainly used to cover the cost of subsidy schemes to support the generation of electricity from renewable sources, such as wind farms. Some of the levy goes to ensure that there are power stations on stand-by when demand for electricity goes up. It is also partly used to subsidise peat-generated power. The regulator has proposed that the charge go from €80 a year for domestic customers to €112, when value added tax is included. This is a rise of 40pc. A 12pc rise is proposed for businesses. The regulator has sought the views of the public, with a final decision likely in July. The new levy would then be imposed on energy bills from October. Last year the Commission for Energy Regulation proposed a massive increase in the charge, but it scaled this back after objections. “The increase is the second largest in the history of the PSO levy and the reason is mainly due to subsidies for renewable energy,” said Simon Moynihan, from price comparison site Bonkers.ie. He said this country now produces more than 40pc of its electricity from renewable sources, according to the latest numbers from the regulator. “That’s up from just 12pc in 2010 and the steady increase in the PSO levy reflects this increase in the renewable electricity production,” Mr Moynihan said. The price comparison expert said that the PSO levy now makes up some 10pc of the average domestic electricity bill. “We need to ask how much is too much?” he said. Eoin Clarke, of price comparison site Switcher.ie, said that the proposed increase would mean that households would be paying €112.64 a year on this levy from October, compared with €80.30 per year at the moment. “The standard electricity bill for an average customer in Ireland is already a whopping €1,136 per year,” he said. He said that more ­households could save money if they looked to switch energy suppliers. “Energy bills are one of the biggest costs to Irish households. I refer to your email received 21 April 2017 in relation to the new RESS scheme and financial support. My Department is currently developing a proposed new Renewable Electricity Support Scheme (RESS) which will be designed to assist Ireland in meeting its renewable energy contributions out to 2030. The new scheme design requires detailed economic analysis on the viability and cost effectiveness of supporting several renewable technologies at various scales, including onshore and offshore wind, Solar PV (both ground mounted and rooftop), Bio-Energy, Ocean (Wave and Tidal) etc. Once this analysis is complete, my Department will publish a public consultation on the design of the new support scheme. There will be many decisions to be made on this support scheme with regard to scale, technologies, cost, eligibility and – in particular – how communities will have a greater involvement than in previous schemes. Following the outcome of this public consultation, and before any new scheme is introduced, it will need to secure Government approval and state aid clearance from the European Commission. Subject to this, it is expected that the new scheme will become operational in the first half of 2018. Details of the next public consultation will be advertised on my Department’s website http://www.dccae.gov.ie and we would welcome your response to this consultation. I trust this information is of some assistance. For a consultation of this importance and magnitude, I would expect the Minister to post full page notices in the national dailies, radio and TV, and a consultation period of at least six months. The usual notice hidden in the layers of the departmental website with two weeks to go does not cut the mustard. The excellent blog produced by Owen Martin makes a very valid point: even if you don’t give a damn about the environment, you do care what is being pinched out of your pocket to keep the Great Wind Swindle alive. Irish taxpayers paid upwards of €21 Million in curtailment fees in 2015 to wind farms which produced enough usable electricity to power a small bar fridge. God knows how much taxpayer money was spent in the EU as a whole. There are a host of other more useful uses for this huge sum of money instead of being shovelled into the pockets of sWINDlers. What is even scarier about these 2015 figures is that these curtailment fees might have doubled since 2015 given the huge increase in installed wind turbines over the previous two years. A person needs to feel safe and secure, and happy, in their own home. If a society cannot guarantee its citizens a peaceful and secure place to stay, that society will very quickly become dysfunctional. Citizens will react badly to a threat to the sanctity of their home. These reactions will include mental illness, intra family conflict, and vigilantism, to name but a few. 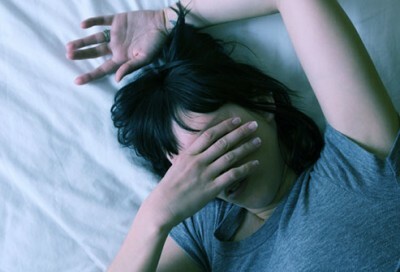 The idea of a home invasion is the terror of most. 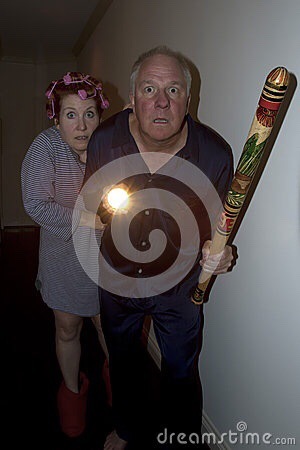 The idea of armed intruders invading your domestic sanctity is the stuff of nightmares and horror movies. But when you think about it, is that not what a wind farm is doing? It is invading your home with its noise and flicker. The physical and psychological effects of the “whump-whump” of the blades, and the strobe effect of the sunlight, is invading your home and making it impossible for you to achieve the domestic sanctity that is a fundamental right of every citizen. In Ireland the sanctity of the home has not only a social significance, it also has a political – historical significance. The colonial legacy of the absentee landlord being able to evict tenant farmers from their homes at will is still a festering sore in the Irish psyche. The fact that the banks have now taken the place of the absentee landlord means that the sore is still festering. As I previously mentioned, this clause has a fundamental resonance, not only in the socio-legal sense, but also in the historical sense. In essence, the Constitution is saying “never again”. And yet it is happening again. Families are being driven from their homes by wind farms. This is worse than the absentee landlord, as in this case the wind farm is not even your landlord, it is rather an unwelcome neighbour that is driving you off your property. That word “inviolable” is important. It is not a word that you would often see in modern language, but in essence it means something that must never be broken, infringed or dishonoured. 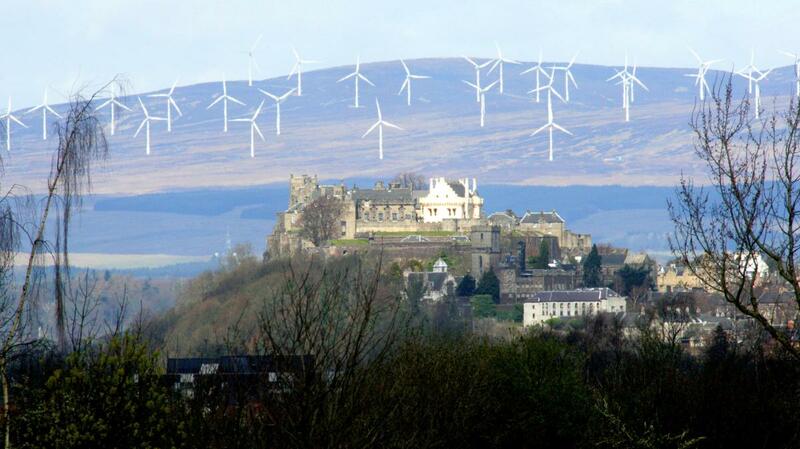 Surely what these wind farms are doing is breaking and dishonouring citizen’s dwellings. The wind farms might point out the proviso, “save in accordance with law”, with that hoary old line: “We are not breaking the law. We obtained planning permission”. However, in the landmark judgment of King v Attorney General  1 I.R. 253 (S.C.) Henchy J. held that the phrase “save in accordance with law” is to be interpreted “without stooping to methods which ignore the fundamental norms of the legal order postulated by the Constitution”. In other words, even if the law is officially on your side, you cannot use the law to achieve effects which are clearly undermining the Constitution. The anguish and mental suffering that wind farms are causing citizens to experience clearly ignores the fundamental norms of our Constitution, especially when one considers that the property in question is also the family home. Our Constitution is based on the sanctity of the family. The family is often described as the bedrock of society, and our Constitution recognises this and enshrines that principle. And yet the Government allows families to be destroyed by neighbouring wind farms. How can that be in accordance with the Constitution? The inviolability of the family home is not only enshrined in our Constitution, but also in the Charter of Fundamental Rights of the European Union. Article 7 of the Charter says that everyone has the right to respect for his or her private and family life, home and communications. In the case of Monika Kusionova v Smart CAPITAL ((2014) Case C-34/13 of the European Court of Justice) emphasised (in extremely strong language) how the loss of a family home places the family in a particularly vulnerable position. The Court held that the loss of a home is one of the most serious breaches of the rights to respect for the home and that any person who risks being the victim of such a breach should be able to have the proportionality of this measure reviewed. In other words, can the benefits of a wind farm (assuming that there are any) ever be justification for driving someone from their family home? One does not need to be a genius to get the answer to that question. And the fact that the government is not only allowing these home invasions, but are actually profiting from the proceedings? “3 1° The State guarantees in its laws to respect, and, as far as practicable, by its laws to defend and vindicate the personal rights of the citizen. This Government is not only allowing a fundamental constitutional right to be taken from its citizens, it is doing that taking itself.